The versatility of the Caversham furniture range has all the options you need for a luxury and beautiful bathroom. 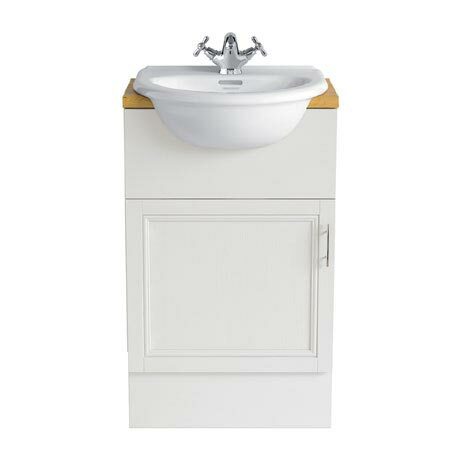 The Caversham 500mm Vanity Unit features an adjustable shelf and soft closing door with a classic pewter handle. Available in Oak, White Ash, Graphite, Oyster or Dove Grey, there’s a dream combination to suit your requirements and taste. Units all feature adjustable legs so they can be aligned easily. Unit is pre-cut to fit all Heritage Cloakroom Semi-Recessed basins. Worktop, plinth, basin and tap not included.